Manchester II Aluminum Arbor | Free Shipping! 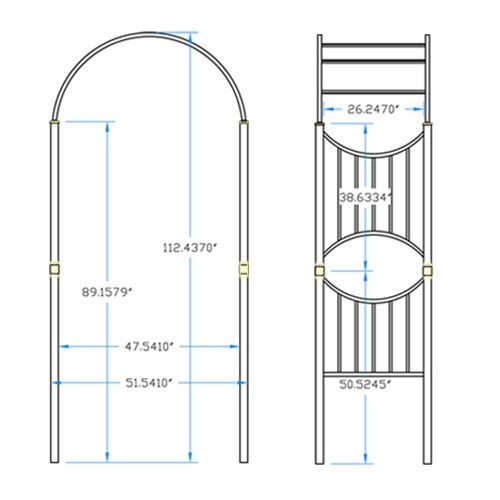 The Manchester II Aluminum Arbor is a redesign of the original Manchester Arbor. The new version is specifically designed so it can be shipped via UPS Ground, which saves you money! 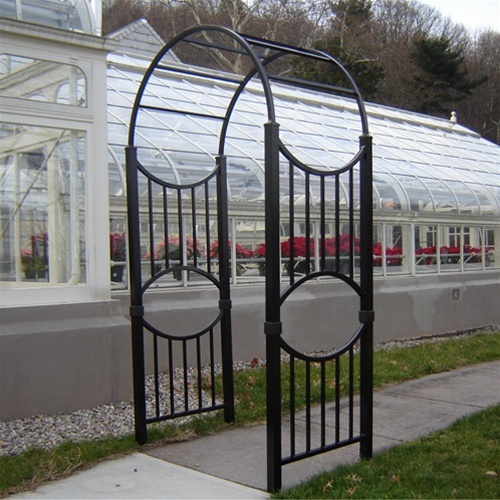 The Manchester arbor combines beauty, quality and easy installation. This maintenance free product includes stainless steel fasteners and all aluminum construction so there is no need to worry about rust or rot. The beautiful black powder coat paint finish and clean lines make this a piece of artwork for your garden or yard! Shipping Dimensions: One box, 11" x 32" x 52"